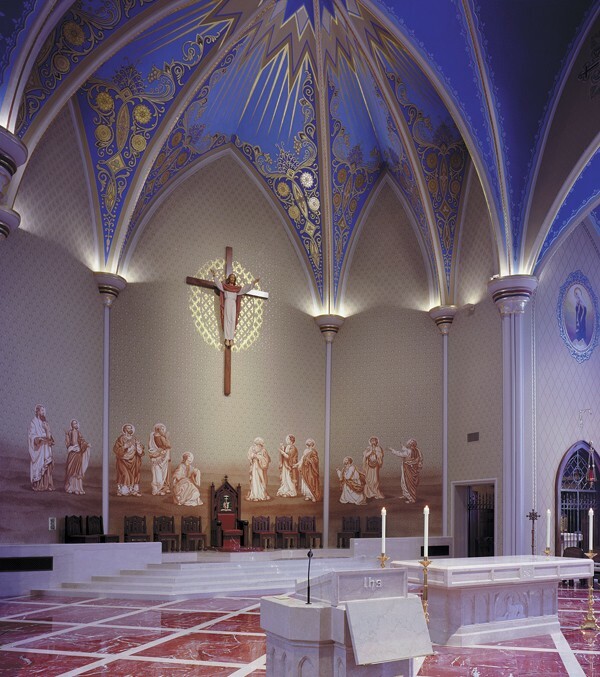 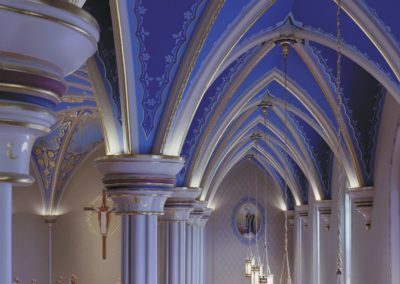 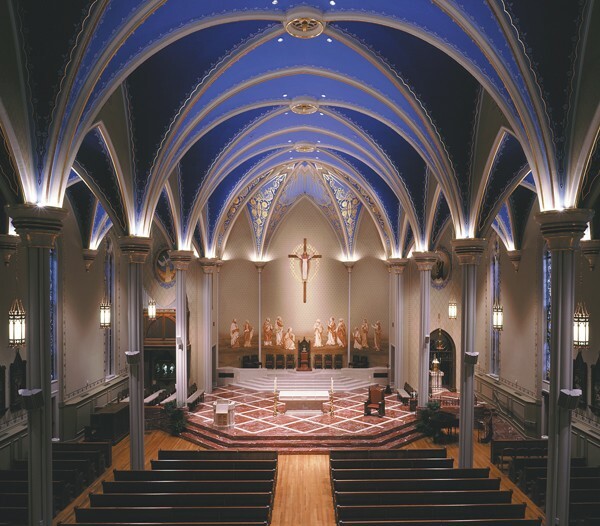 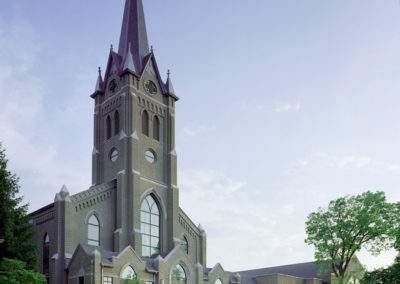 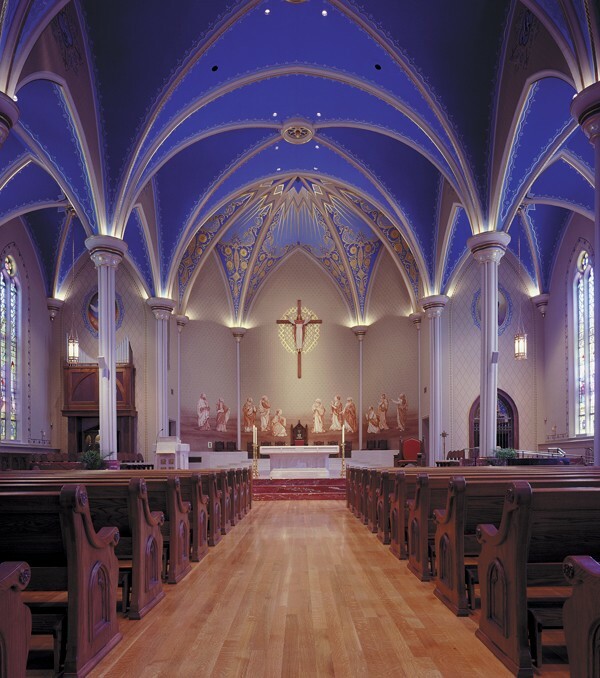 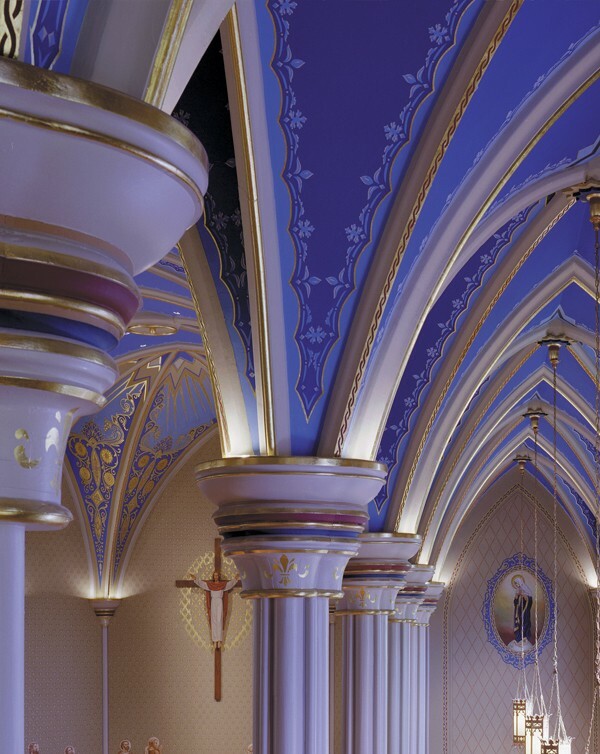 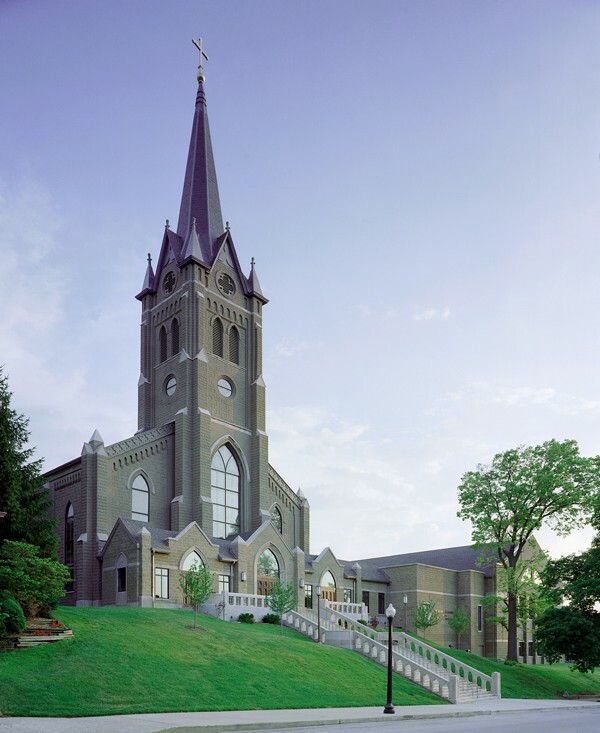 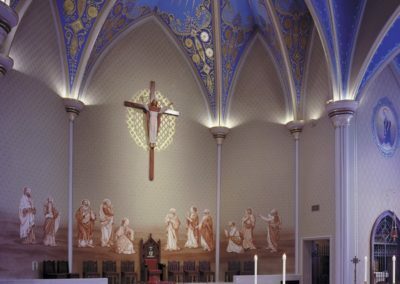 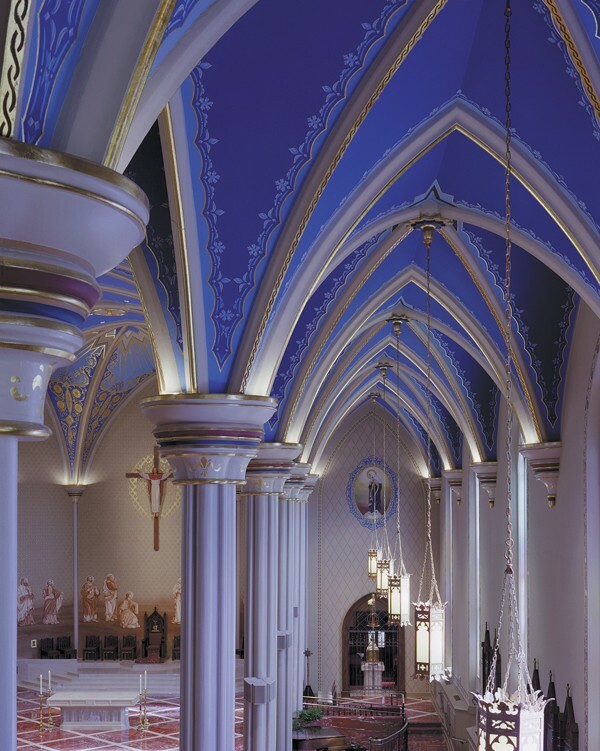 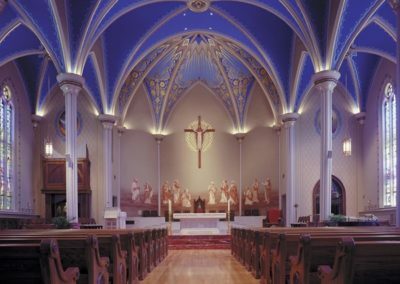 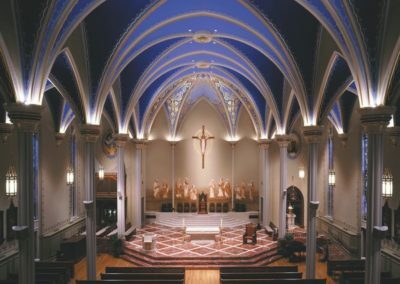 For the Cathedral of St. Mary of the Immaculate Conception in Lafayette, Indiana, artists from CSS conducted the meticulous decorative painting, which included extensive stenciling, glazing and gilding. 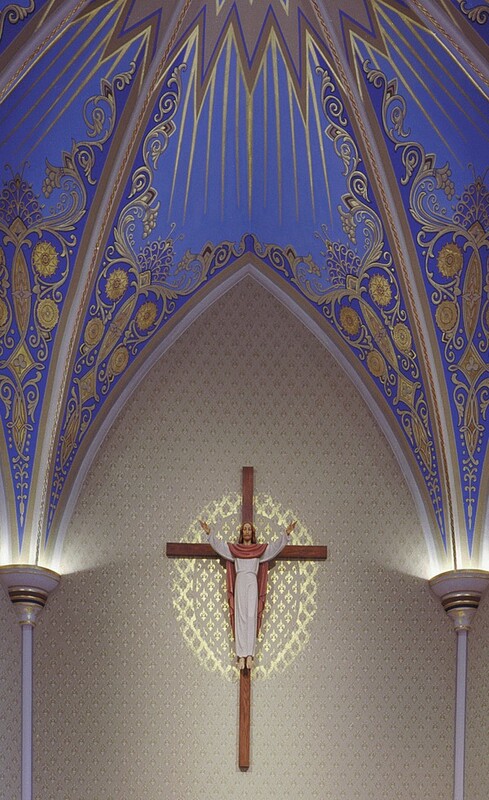 A new mural graces the wall behind the altar as well as an intricate pattern with gold leaf gilding that surrounds and highlights the crucifix. 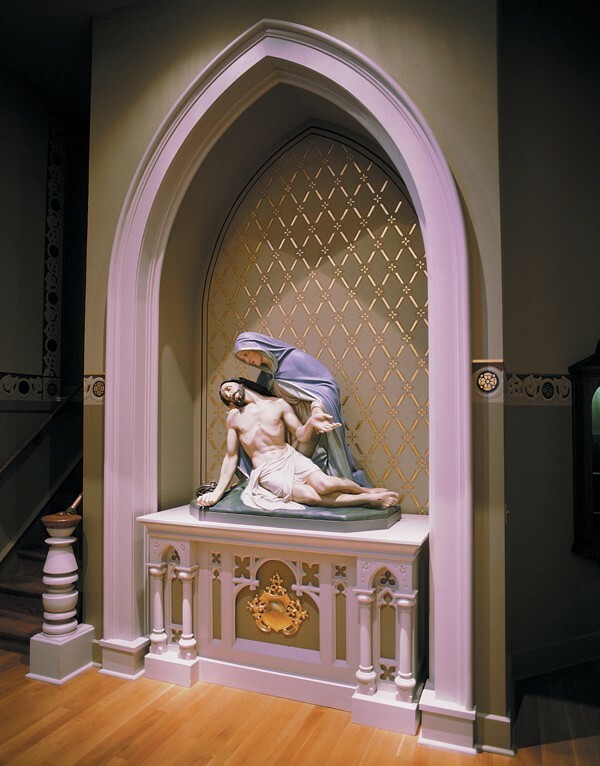 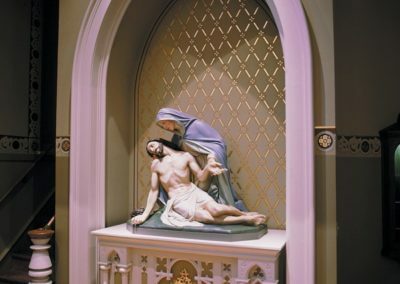 Studio artists also conserved and restored the statuary and the Stations of the Cross in this historic Catholic church. 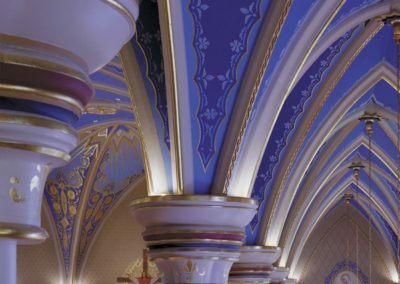 An interesting note, while the stations were removed for restoration, the names of the parishioners who originally donated the money for them were found inscribed on the back of each station.